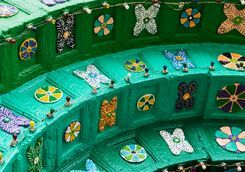 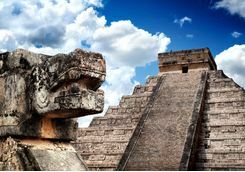 Modern Mexico offers everything you could ask in a luxury holiday; culture, delicious food and some truly wonderful beaches, and in this 16-day itinerary we have brought together the best of those, but with the emphasis very much on Mexico's fascinating pre-colonial history. 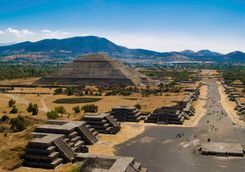 Your international flight will leave the UK around lunchtime, and arrive in Mexico City ten-and-a-half-hours later, in mid-afternoon. 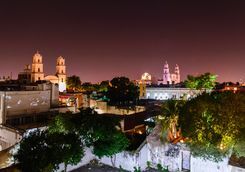 After you've cleared customs and collected your luggage, you will be met by one of our team on the ground for a private transfer to your hotel. 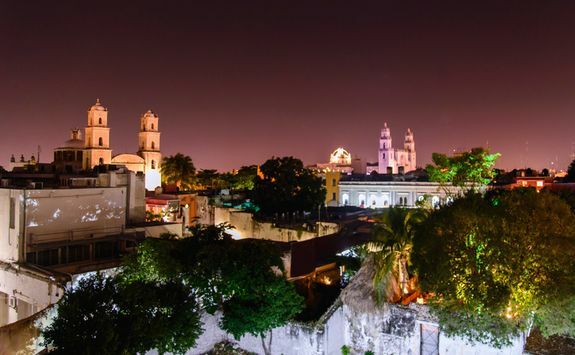 We recommend dinner at your hotel to get your stomach on Mexico time before an early bed. 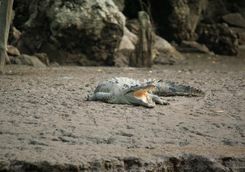 It's an early breakfast today, which is handy because you'll probably be trying to shake the last remnants of jetlag. 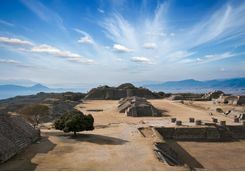 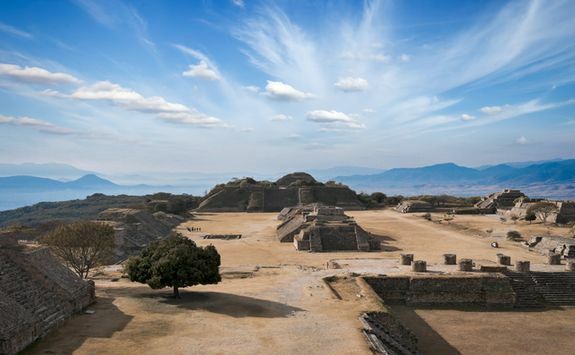 Your expert guide will meet you at your hotel for a private transfer to Teotihuacan, which in Nahuatl (the language of the Aztecs, although the city pre-dates them) means 'the birthplace of the gods'. 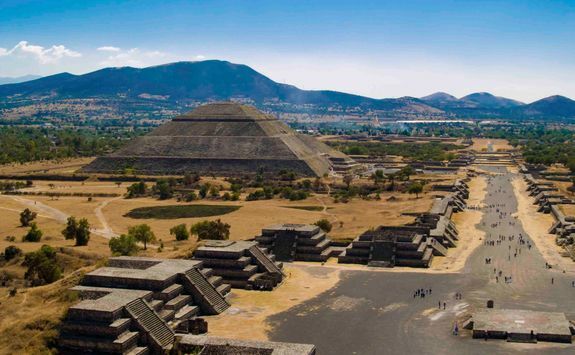 Teotihuacan, which was once one of the largest cities in the world (in around 500 AD), is considered one of the most important sites in Mesoamerica, and after exploring with your guide you will also have a chance to climb the Pyramid of the Sun and the Pyramid of the Moon, and take in the view across the city and valley of Teotihuacan. 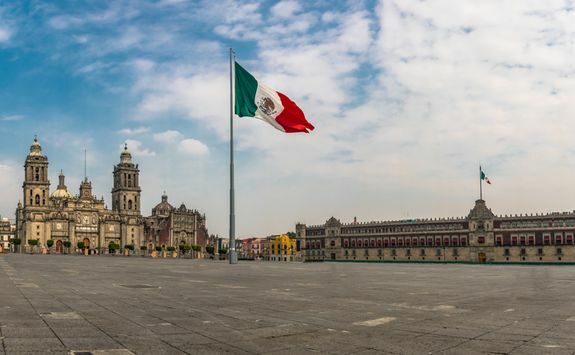 You will be privately transferred back to Mexico City for lunch, and we recommend consulting your detailed Dossier for our favourite spots, before a private walking tour of the city. 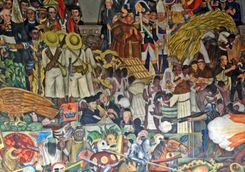 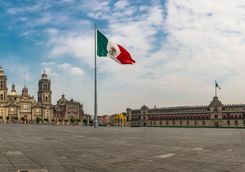 Your guide will show you the Zocalo (Central Square), the second largest plaza in the world, and the adjacent National Palace, home to Diego Rivera's murals depicting more than a thousand years of Mexican history. 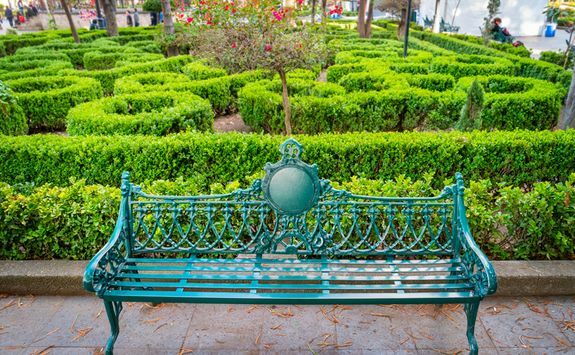 This morning your expert guide will meet you at your hotel for a private transfer to San Angel. 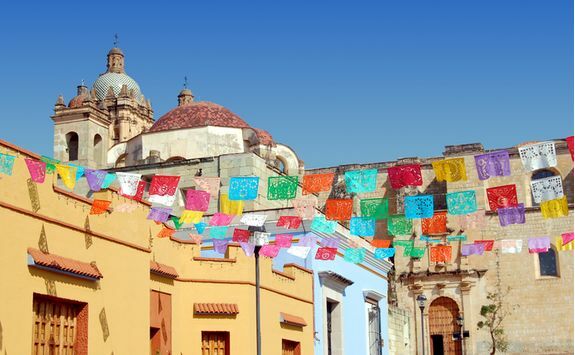 The narrow, cobbled streets and large colourful houses make it hard to believe that you're still in Mexico City. 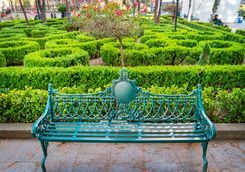 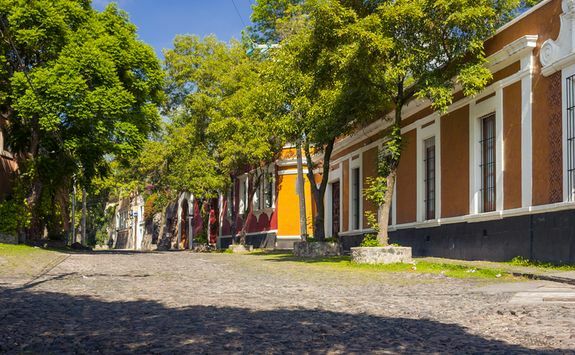 After exploring the Bazar del Sabado, an art and artisan market that brings people to San Angel from all over the city, you will visit Coyoacan, where you can wander down the tree-lined streets of colourful, heavy brick architecture. 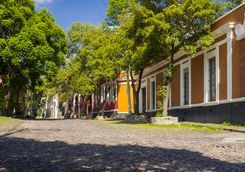 Next you will head to Frida Kahlo's Blue House, where the artist was born and died. 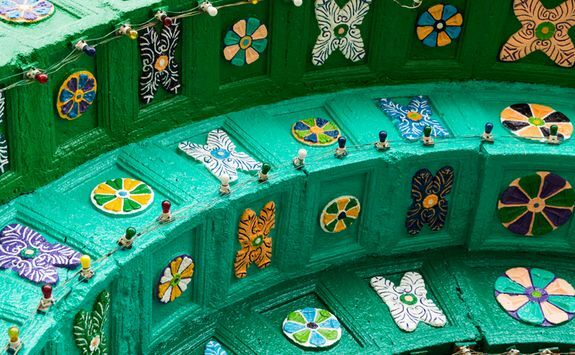 It is now a museum dedicated to her life. 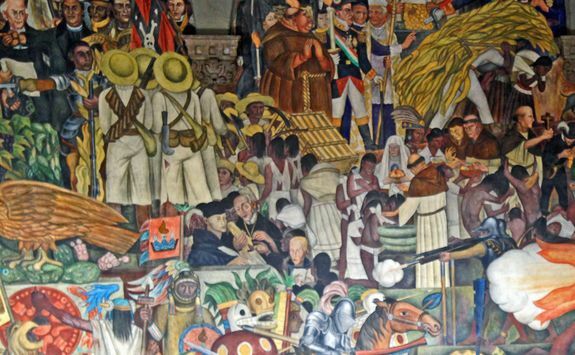 Through exploring her house, her art, and reading her words you will learn more about the painter who has become an iconic figure in Mexico and beyond. 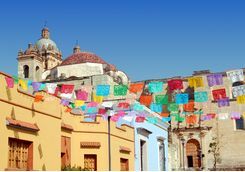 After breakfast you will be privately transferred to Mexico City Airport for the one-and-a-quarter hour flight to Oaxaca. 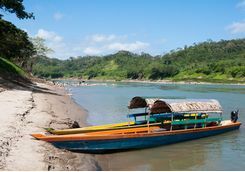 After clearing customs and collecting your bags, you will be met for a private transfer to your hotel. 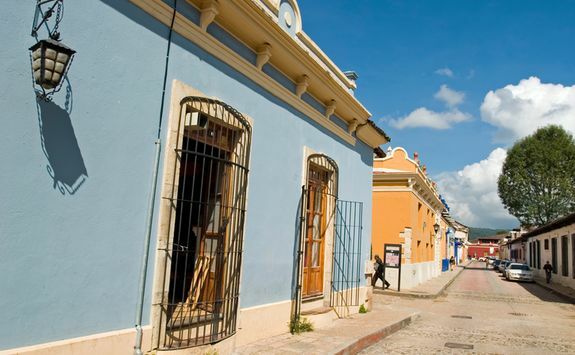 After lunch your expert guide will meet you at your hotel for an afternoon walking tour of the historic city centre. 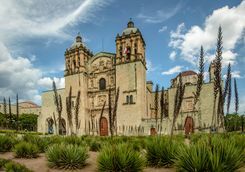 You will learn about the city's cultural heritage on a private tour of the Oaxaca Museum of Culture, which is home to the treasure found in one of the tombs at the Monte Alban archaeological site, before visiting the Art of Oaxaca and Quetzalli art galleries. 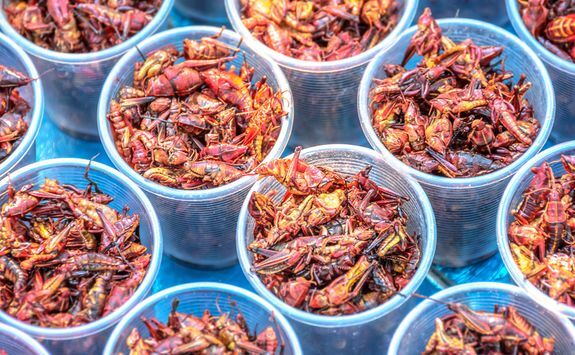 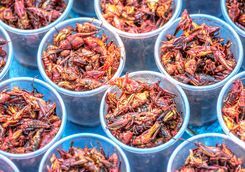 You will also have a chance to try some of Oaxaca's regional delicacies like hot chocolate… and grasshoppers. 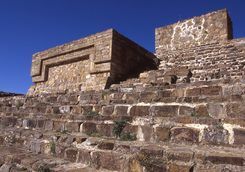 After breakfast you will be met by your expert guide for a private transfer up to Monte Alban. 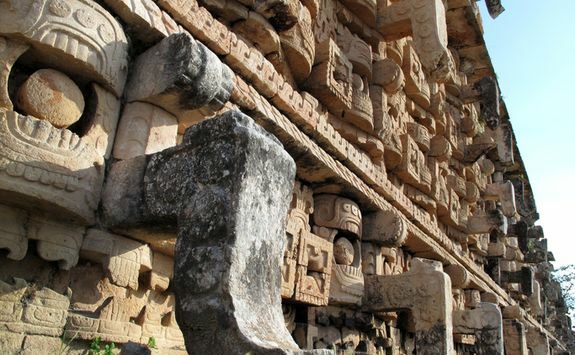 With your guide, you will visit the main plaza with its impressive vistas, learn about the many theories surrounding the intricate rock carvings known as Los Danzantes, and learn about the ancient, high stakes (like life and death) ball game that was played at the ball court. 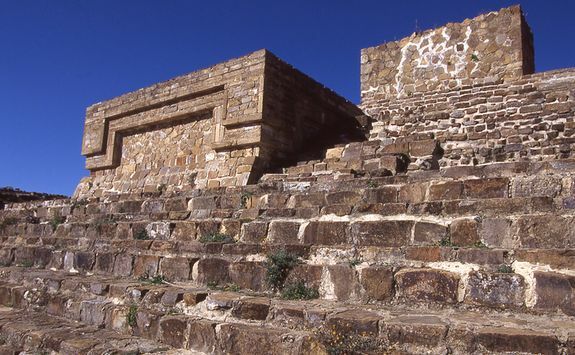 After lunch you will head to Mitla, one of the most important sites in the region. 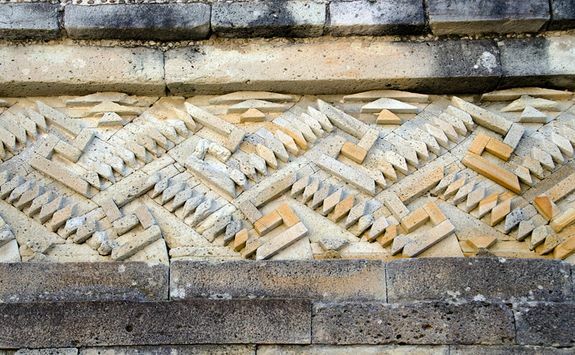 The site is famous for its intricate mosaic work that is found in no other Mesoamerican site. 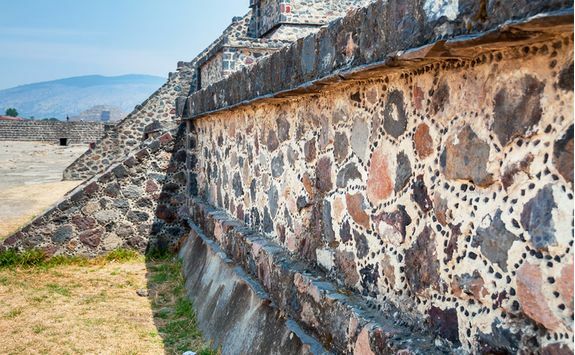 The mosaics, made from finely cut and polished stone, were fitted together without mortar and set against deep-red stucco, which remains vibrant in much of the site today. 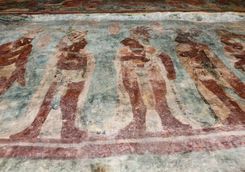 Your guide will lead you on an exploration of the site and you will have the chance to enter the ancient tombs. 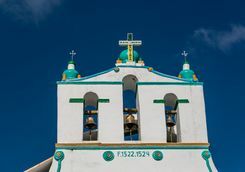 This morning your expert guide will meet you at your hotel for the 40-minute private transfer to Teotitlan Del Valle, possibly the prettiest village in the east side of the valley. 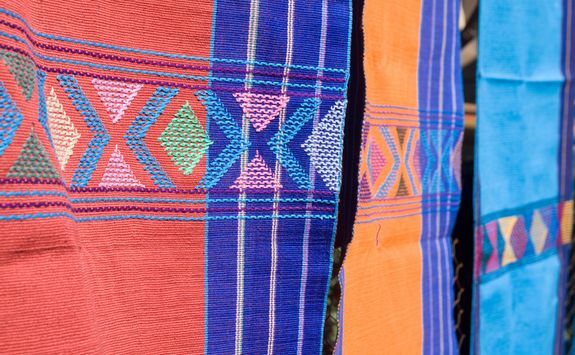 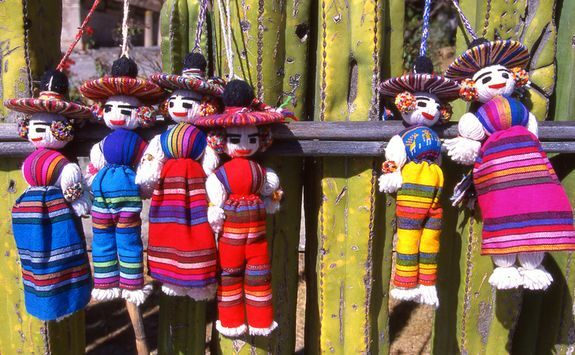 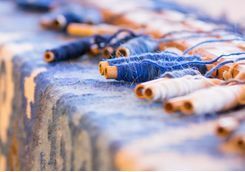 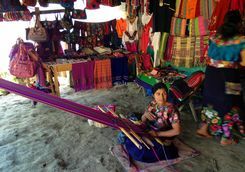 You will have a guided visit to Teotitlan Del Valle Market, followed by a visit to a family home to see the process of weaving traditional rugs. 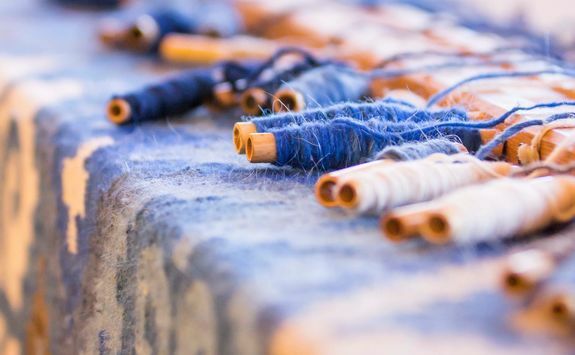 Many people still use the traditional techniques of carding and spinning their own wool, then dying it with natural colours, before finally weaving on solid-wood looms. 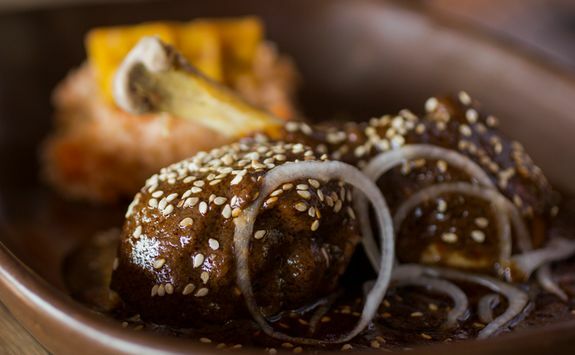 Oaxaca is famous for its culinary heritage, which forms the foundations of the traditional Mexican cuisine that has been awarded UNESCO Intangible Cultural Heritage status - one of very few national gastronomies ever to garner that particular honour. 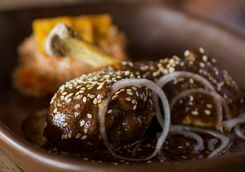 Later, you will enjoy a regional cooking class and lunch as a special guest in a Zapotec (the indigenous people of the Oaxaca region) family's home, where your hosts will share the secrets of authentic Oaxacan cuisine. 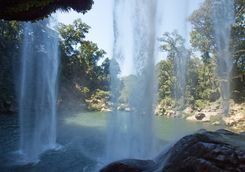 After lunch you will be privately transferred back to your hotel to spend the afternoon at leisure. 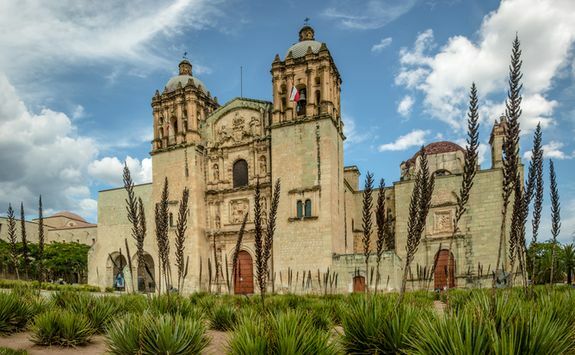 After a late breakfast and check out, you will be privately transferred back to Oaxaca airport for the one-and-a-half-hour flight to Tuxtla Gutierrez, in the Chiapas region, arriving around lunchtime. 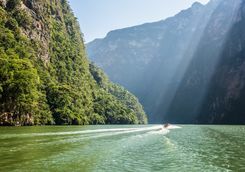 Once you've collected your luggage, you will be met by our expert guide for the 35-minute private transfer to the Sumidero Canyon National Park. 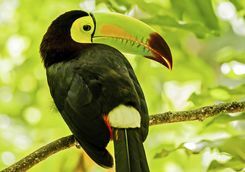 The canyon developed at around the same time as the Grand Canyon, as a result of a geographical fault during the Pleistocene Era, and it is home to a plethora of wildlife, including crocodiles, monkeys and marine birds; your guide will be one hand to help you spot them. 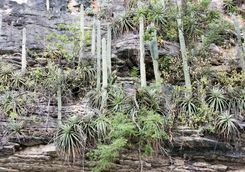 There are also a number of unusual rock formations to observe as you jet along the blue green Grijalva River. 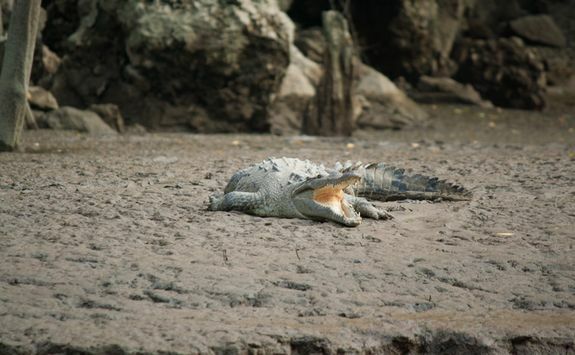 The boat tour lasts approximately two hours. 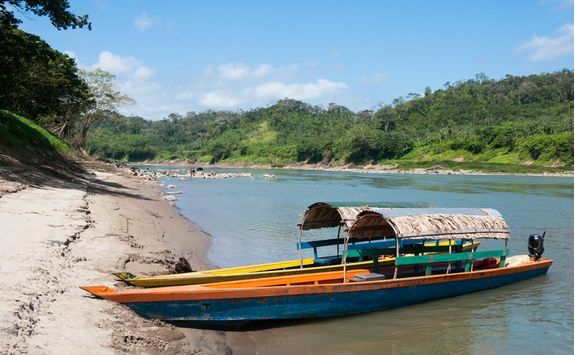 At the end of the boat ride you will be privately transferred on to your hotel in San Cristobal de las Casas, a journey which will take roughly one-and-three-quarter-hours. 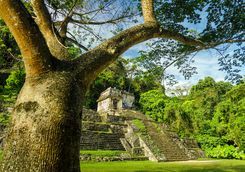 Today you will be taken on a privately guided tour of three towns in the Chiapas, gaining a real insight into traditional life in the area. 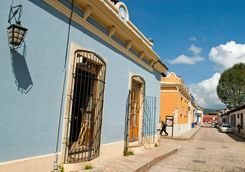 You will explore the colonial city of San Cristobal de las Casas on a walking tour, wandering the narrow winding streets and visiting the churches and markets of the city to discover local textiles and handicrafts, before heading to two indigenous towns nearby. 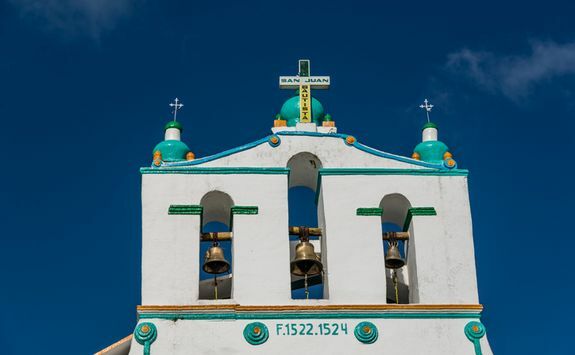 You'll first visit San Juan Chamula, to visit the church where the blending of pre-Hispanic traditions and Catholicism is evident in the Saints painted on the walls to represent Mayan gods and the chants and sacrifices (no longer human!) 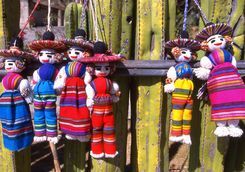 offered by the local families. 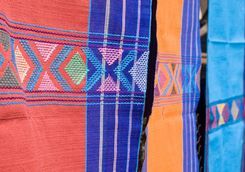 Continuing on you will then visit San Lorenzo Zinacantan, a town known for its traditional textiles and majority indigenous population. 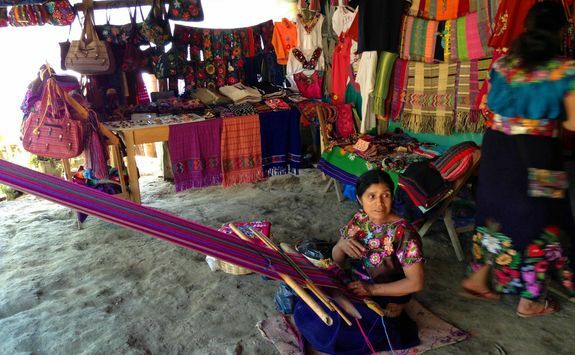 After a late lunch, you will visit a local artisanal workshop to learn about their craft, before visiting the town church to discover the history of Catholicism in Chiapas. 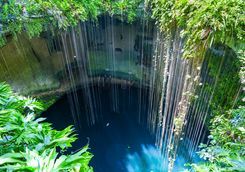 After breakfast you will be met at your hotel for a four-hour private transfer to Misol Ha (in other cultural references, the waterfall Arnie leapt off in Predator). 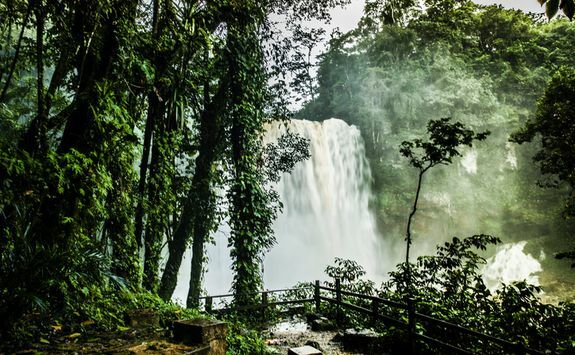 The waterfall plunges 115ft into a round pool surrounded by lush green vegetation; it's so verdant that you could be in the middle of a rainforest. 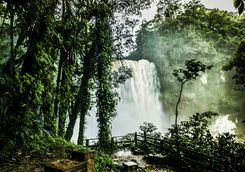 You will have the chance to walk along a path underneath the waterfall to feel its power and get soaked by its spray - so make sure you have a dry change of clothes to hand. Once you've had your fill of waterfall, you will be privately transferred to your next hotel in Palenque. 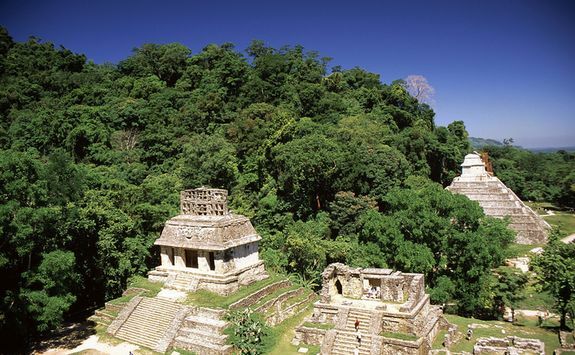 After checking in at your hotel, your expert guide will take you on a private tour of the city - an ancient Mayan conurbation which flourished around 600 AD, before being abandoned in 799 AD and subsumed by the jungle. 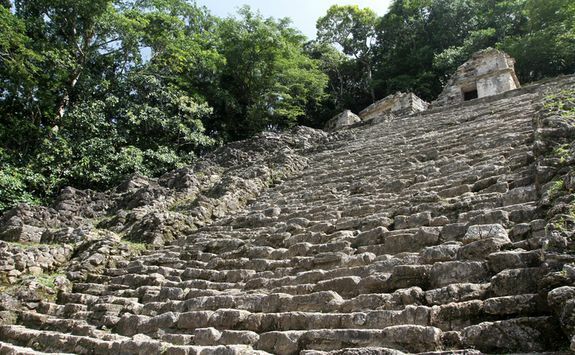 You will explore various ruins around the site, where you will learn all about the religion, cosmology and everyday life of the Maya of Palenque, and have the chance to climb many of the structures to take in the interior relief work and inscriptions. 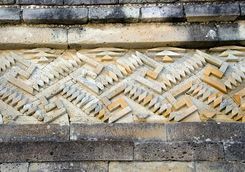 This morning is a very early start as you're met at your hotel for the two-and-a-half-hour transfer to Bonampak, a town whose name means 'painted walls' in Maya, the native language still used by the locals. 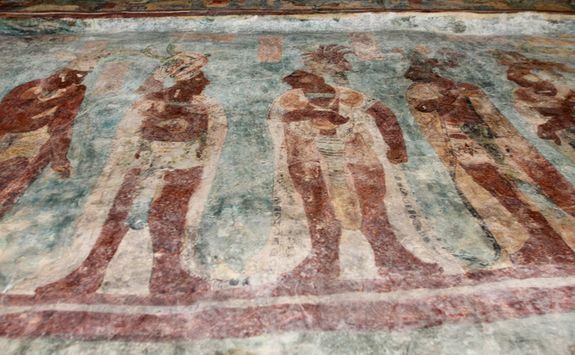 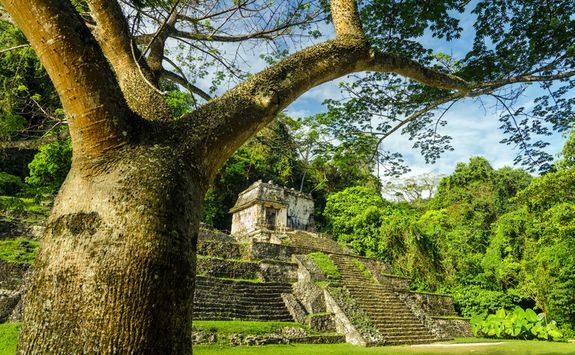 You will visit the fascinating and well-kept secret of the Lacandon Forest, which is known for the astonishing frescoes inside the Templo de las Pinturas. 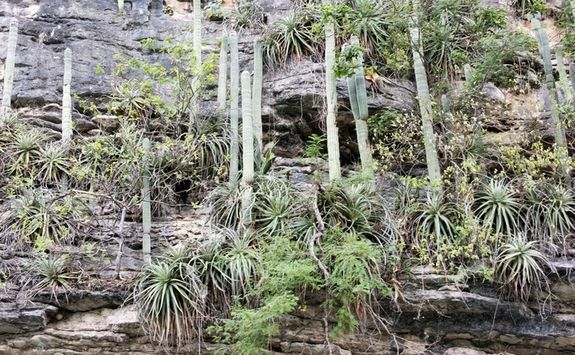 Once you've finished exploring, you will be privately transferred to Yaxchitlan, an ancient Mayan site only accessible by boat. 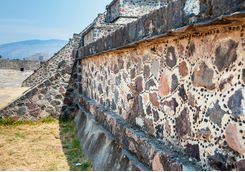 Your guide will talk you through the ornamental building facades, roof combs and impressive stone lintels depicting battles and ceremonial events. 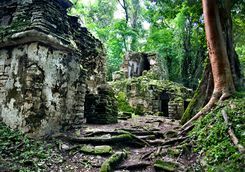 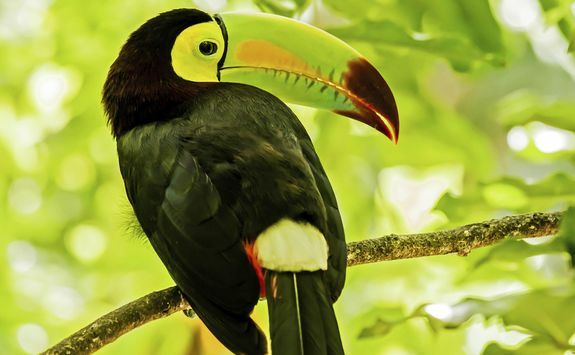 As you explore the archaeological site, the calls of the many howler monkeys swinging from the trees right above remind you just how far from modern civilization you are and how powerfully alive the Lacandon forest remains. 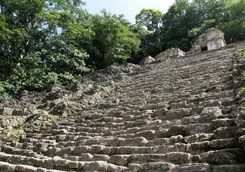 After breakfast this morning, you will check out of your hotel and be met by your expert guide for a private transfer to the Mayan ruins at Palenque - a city which lay covered by the jungle for centuries. 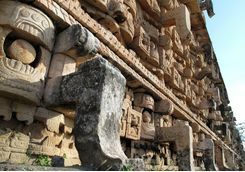 Your expert guide will lead you in your exploration of the site, the history of which was pieced together through the large number of inscriptions and carvings found by archaeologists. 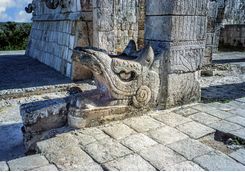 You will learn about the great emperor Pakal, whose tomb was discovered with an intricately carved sarcophagus lid that has led to many myths and legends about him. 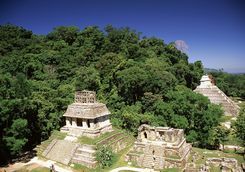 Visit the Temple of Inscriptions where the tomb was discovered and try to decipher the inscriptions which narrate roughly 180 years of Palenque's history. 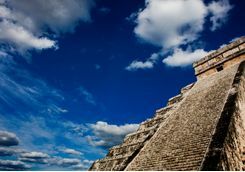 After your visit, you will take a two-hour private transfer to Villahermosa airport for your afternoon flight to Merida. 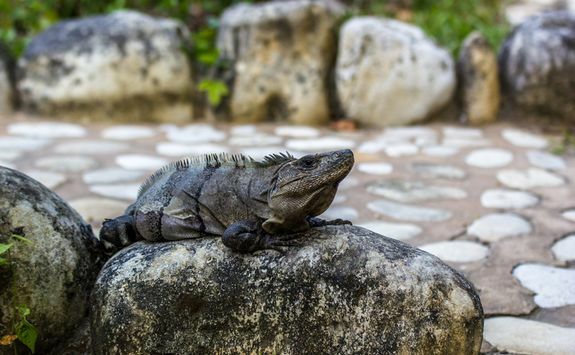 After clearing customs and collecting your bags, you will be privately transferred to your hotel, where the rest of the afternoon and evening are yours to relax. 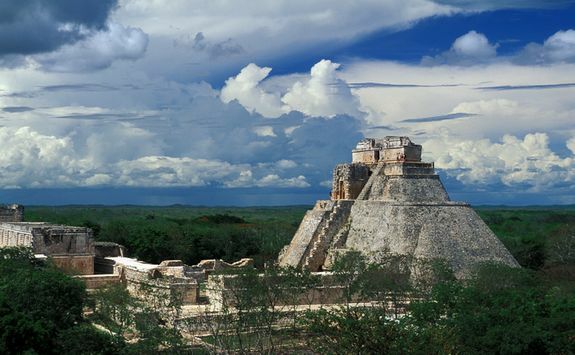 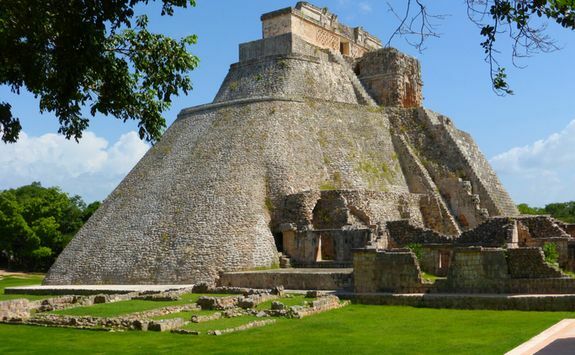 Explore the ancient Maya city of Uxmal, with its rounded architecture and intricate latticework before heading to the archaeological zone of Kabah to see the Palace of the Masks. 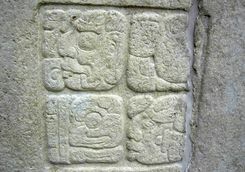 Your guide will lead you in your exploration as you learn that the veneration of rain was a common feature for both cities. 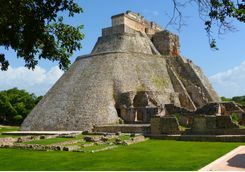 Starting in Uxmal, which covers 150 acres, you will explore the unusual ruins, learning about the unique water system and the Magician's Pyramid - which has rounded sides with a great height and steepness making it unique among Mayan structures - before moving on to the Governor's Palace whose size and complex stonework are arguably the masterpiece at Uxmal. 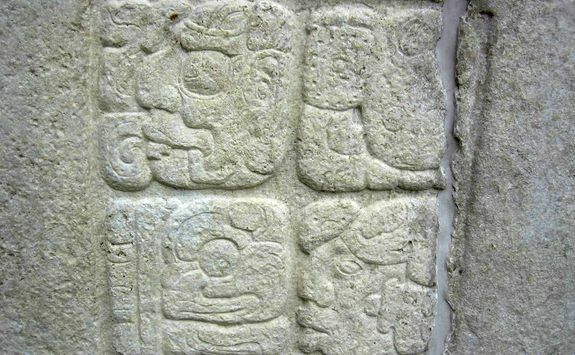 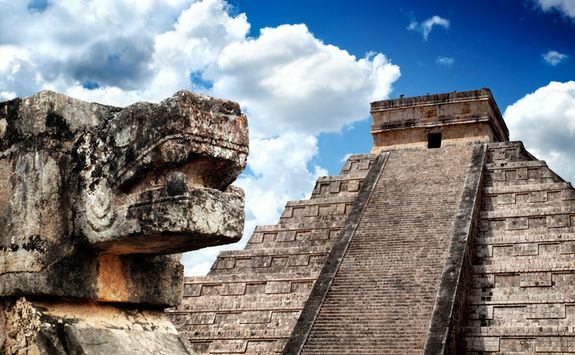 After lunch you will be privately transferred to Kabah, where your guide will teach you the identifying features of Chaac, the rain god who was of great importance to both towns. 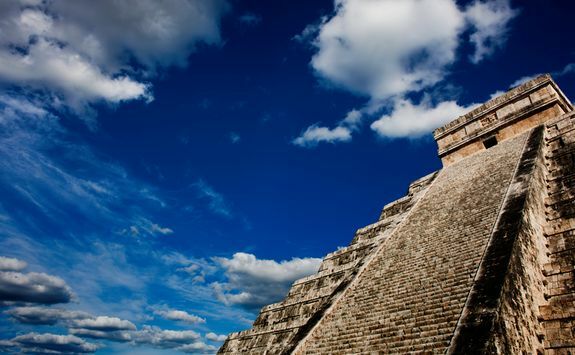 After an early breakfast and check out, your expert guide will meet you at your hotel lobby for your private transfer to Chichen Itza, Mexico's most visited archaeological site. 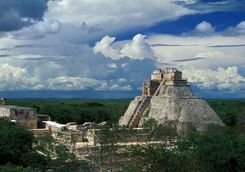 Your guide will help you get a feel for what Chichen Itza was like before the Spanish arrived, by explaining the cosmology, religion and everyday life of the Mayan people. 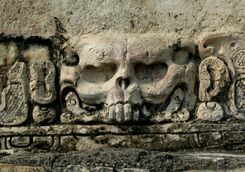 Visiting the platform of the skulls, you will see how both life and death are represented, before heading to the ball court where archaeologists believe the losers might pay with their lives. 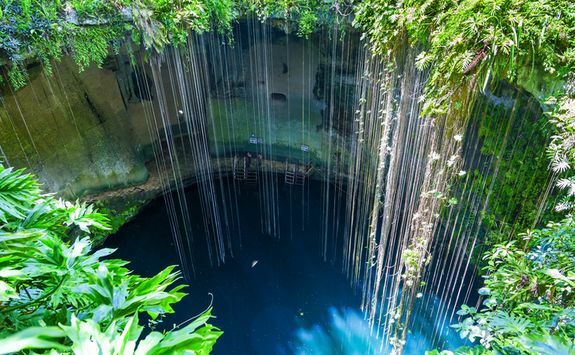 You will then visit the cenote where sacrificial drowning took place, learning about the type of rituals involved and what was uncovered when attempts were made to drain this deep sinkhole. 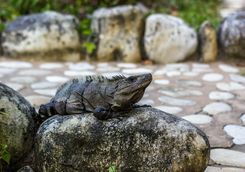 After your visit you will be privately transferred to your hotel in Tulum, a journey which will take approximately two-and-a-quarter-hours. 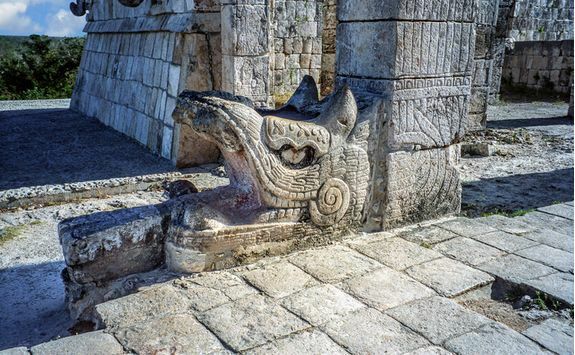 This morning you will be met in the hotel lobby before dawn for your privately guided sunrise tour of Tulum. 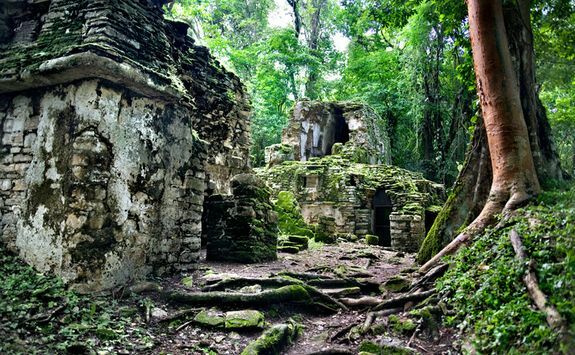 The ruins are approximately 25-minute private transfer away. 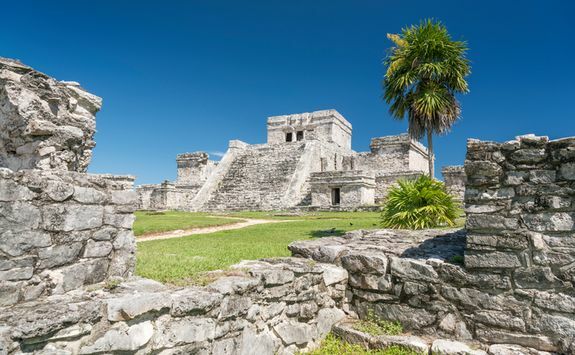 Your expert guide will lead you in your exploration of Tulum's most interesting sites, telling you about the history and cosmology of the site. 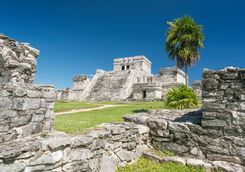 Make sure to bring your swimming togs, because post tour you will also have a chance to swim in the Caribbean waters and look up at Tulum's iconic 'Castillo' from below. 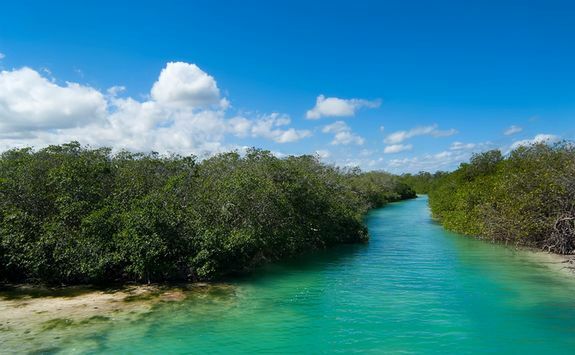 You will then continue to the Sian Ka'an Biosphere Reserve, and explore the marshes, mangroves and flora of the natural waterways with your expert guide. 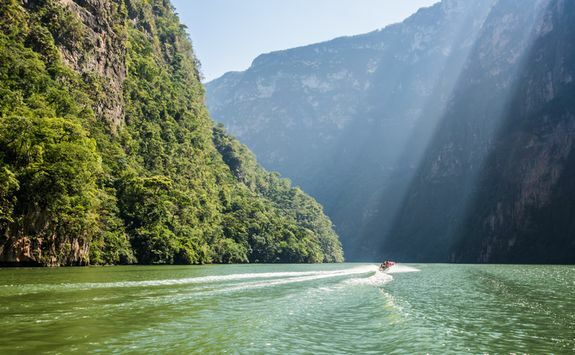 This biosphere reserve is one of the largest protected areas in Mexico and is home to the elusive jaguar, manatees and an array of bird life. 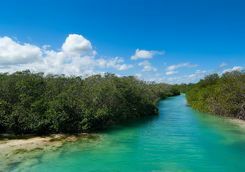 Start the tour on foot before jumping aboard a boat to explore the channels, and finally by jumping in and drifting along with the current over cenotes. 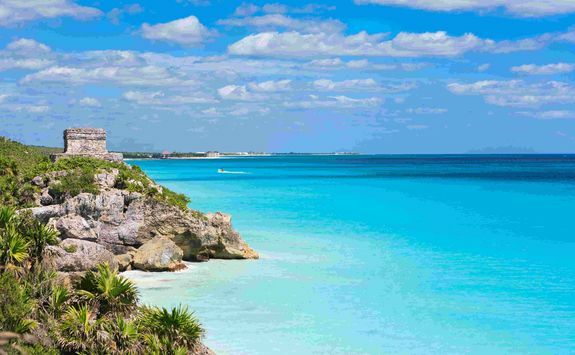 Today is sadly your last day in Mexico, so before your evening flight home we recommend spending the day relaxing at your hotel - perhaps a yoga class, spa treatment, some time by the pool or just lay back in the white sands and turquoise seas. 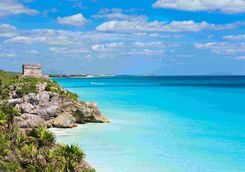 After a long leisurely lunch and late check out you will be privately transferred to Cancun Airport for your overnight flight home, which takes roughly nine hours. 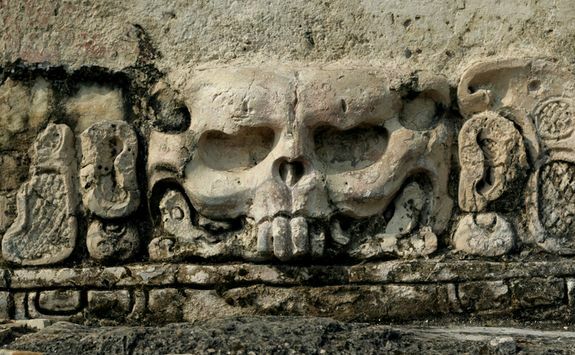 Your flight arrives back in London late morning.